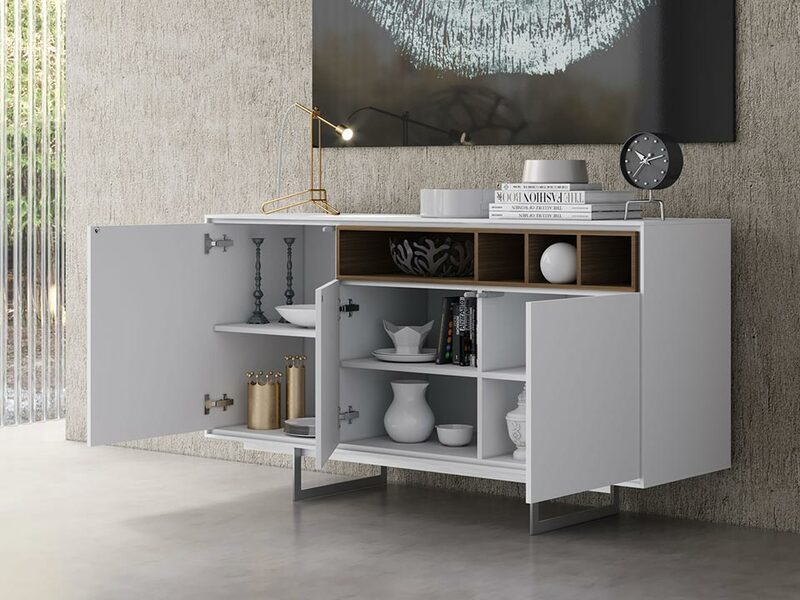 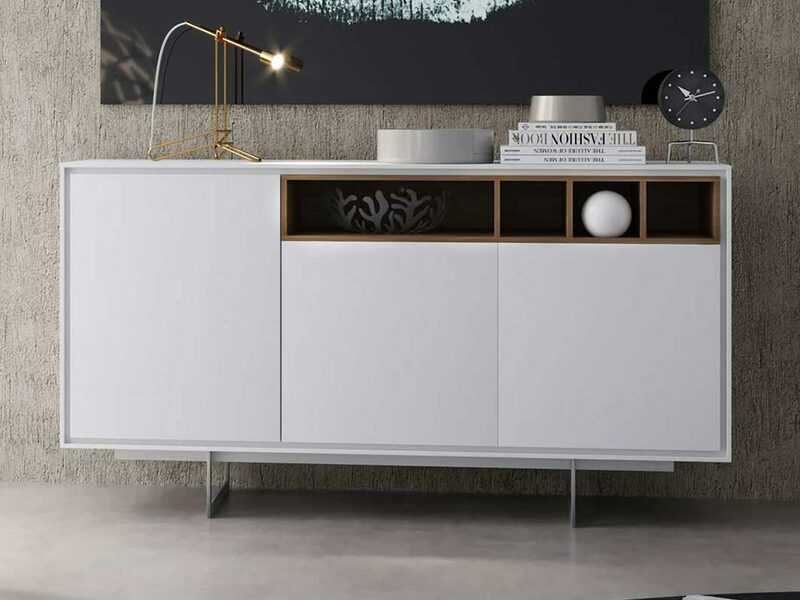 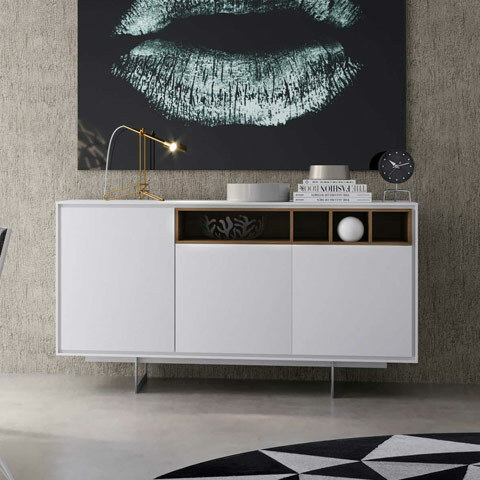 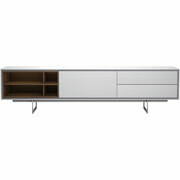 The Baxter Sideboard in White lacquer is a beautiful dining room addition that will never leave you wanting more. 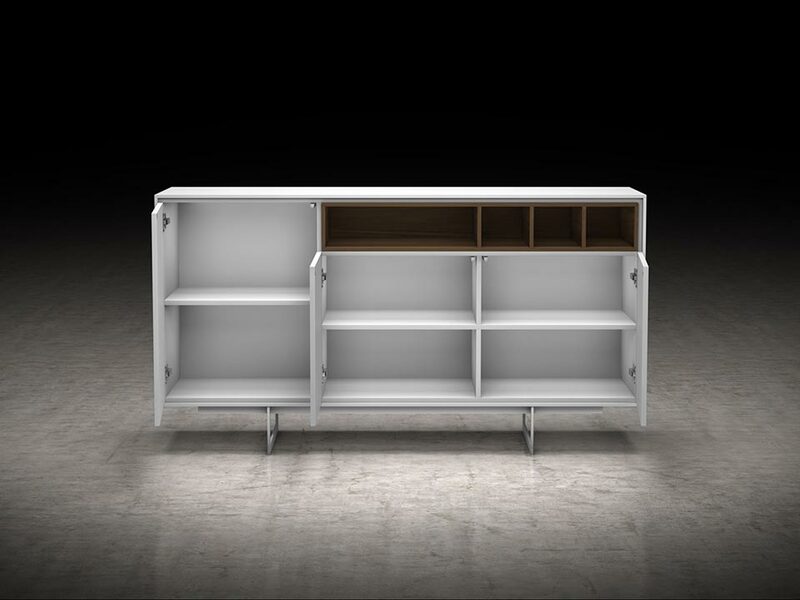 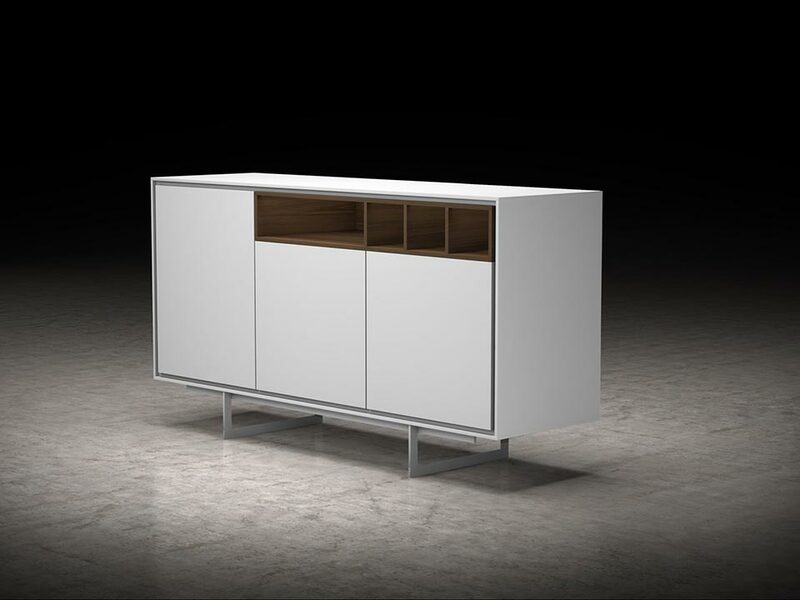 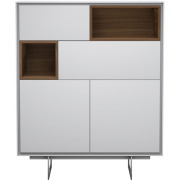 Four walnut veneer contrasting finish cutouts allow for easy access while three expansive doors reveal space for all your dining accoutrements. 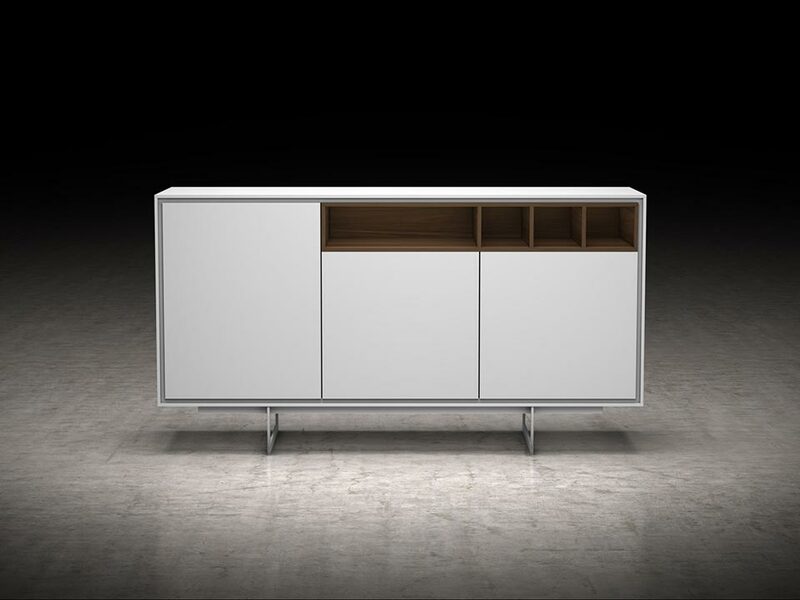 With a resilient outer shell and powder-coated legs, the Baxter is the perfect balance of elegance and functionality.